Cannot deploy to any of the player machines. 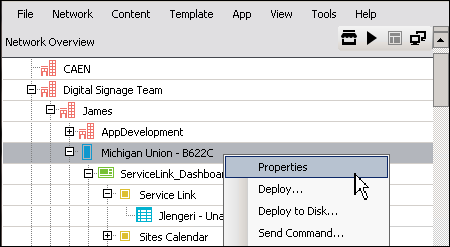 Check your network configuration or machine properties and deploy again. The Content Manager software is unable to communicate with the player computer. Verify the Computer name for the digital sign was entered correctly on the properties menu in Content Manager. Verify that the player computer is powered on. Verify your player computer is on the correct VLAN (Your IT group can assist with this). There were errors deploying the metadata. Review each operation's status below. You don't have sufficient access to all of the content on your sign (even if the content is not scheduled). 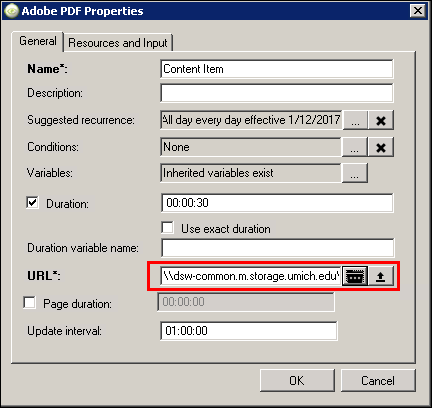 Determine which content item you don't have access to (it will display as blank in the Preview Pane of Content Manager software) and remove it from your sign. Determine the storage location of the item and request access from your local IT group.